Precision Auto in Germantown, MD, performs certified state inspections on all cars and light trucks. Any vehicle that needs Maryland tags, whether it’s a new vehicle or a vehicle being transferred from another state, must pass a thorough inspection of all its components. We help keep you and your passengers safe on our state’s highways and byways by ensuring the safe operation of your vehicle. Let our team of automotive experts make you legal and road ready. Maryland inspection standards check every aspect of your steering, brakes, suspension, and more. Anything that keeps you from passing your state inspection can be fixed immediately. 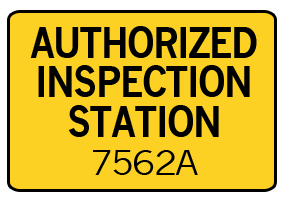 State inspections are a one-time deal that all Maryland vehicles have to pass, and all newly purchased vehicles must be inspected. If you’ve just moved to the area from out of state, stop by Precision Auto in Germantown, MD for your mandatory inspection. We’re not only a certified inspection station, but we can also resolve any problem areas that are failing. No matter what the results of your inspection, we make sure you leave with a passing grade. If your vehicle is receiving new tags, you should bring it to us so we can make sure it passes Maryland standards. Call us today at (301)917-2682 to schedule an appointment for any mandatory state vehicle inspection. Or just stop on by whenever you have a chance. Our Maryland state inspection services are quick and convenient, getting you back on the road in no time. We value your time and we appreciate you choosing us to handle all of your state inspection needs.